Four years after their Maniac Cop trilogy became home video staples, the formidable drive-in team of director William Lustig and writer Larry Cohen teamed up again to put a horror spin on another authority figure, and this one's a doozy. This time the symbol of the American military becomes an unstoppable killing force in Uncle Sam, which concerns the havoc unleashed when the body of psycho soldier Sam Harper (Fralick) is discovered in the desert after being shot down by friendly fire. The return of his remains stirs up extremely patriotic feelings in his nephew, Jody (Ogden), whose mother (Neale) and aunt (Tremko) aren't exactly open about Sam's abusive tendencies. As the town rallies for its annual Fourth of July celebrations (whose fireworks accidentally disfigured and blinded another child one year earlier), Sam rises from the dead to punish any "bad" Americans like Jody's draft-dodging teacher (Bottoms), a self-serving politician (Forster), a bunch of flag-burning teen hooligans, and even a girl who dares to slip away for a joint during the big barbeque. 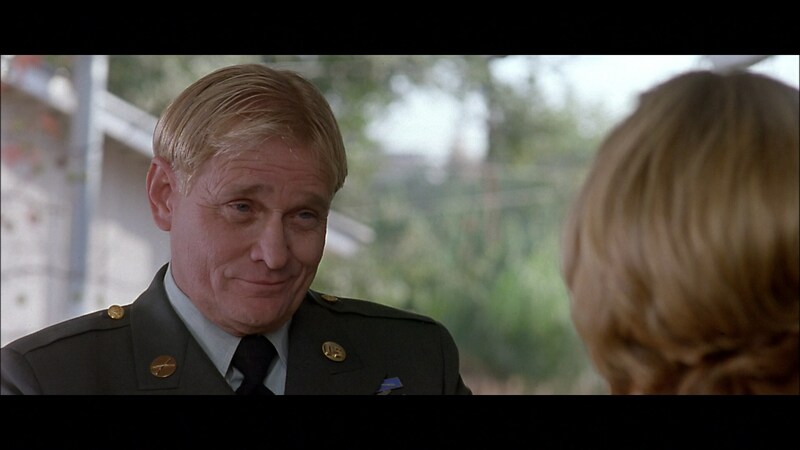 However, when Sam decides to get his wife back from her handsome sheriff beau (Flint), Jody must spring into action with the aid of a wounded Korean combat vet named Jed (Hayes) before the whole town dies screaming on Independence Day. Lost in the shuffle as low-budget horror became a mainly video-driven business in the late '90s, Uncle Sam may be a minor film on its own terms but looks more interesting now as a darkly comic bridge between two other Americana zombie soldier tales, Bob Clark's Vietnam-era Deathdream and Joe Dante's post-9/11 fireball, "Homecoming" (from Masters of Horror). Zombie films have always lent themselves well to political commentary thanks to George A. Romero, and the application here to blind military fervor and the belief in might over right provides plenty of fertile ground for both satire and horror. The film doesn't hit its targets as directly as it could thanks to an exposition-heavy first third and an overabundance of characters designed to justify a slew of horror-oriented cameo appearances; however, Sam himself makes for an interesting baddie, and the family dynamic with its tortured past provides enough emotional grounding to keep the sillier moments in check. 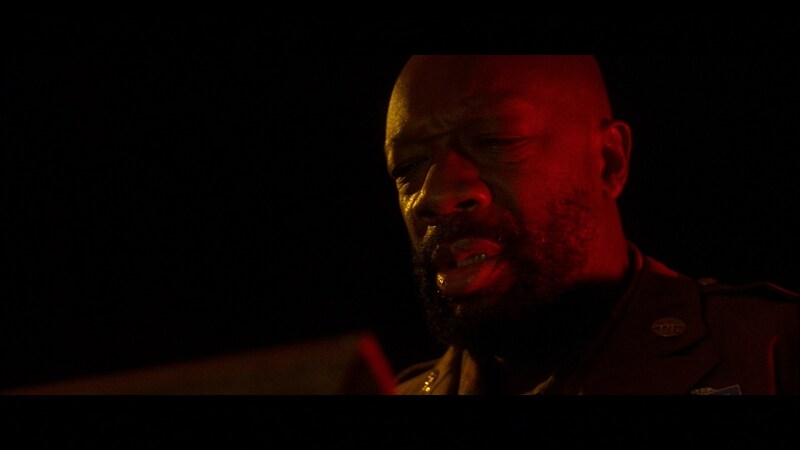 Among the stunt casting, the late and sorely missed soul legend Isaac Hayes definitely fares best as the metal-legged Korean vet whose voice provides an effective counterpoint to Sam's gung-ho savagery, while P.J. Soles has an effective extended bit as the mother of the fireworks-scarred kid (who has some really terrible make-up). On the other hand, William Smith and Bo Hopkins fly by so quickly you could easily miss them during a soda break, and Robert Forster only pops up long enough to provide the most showstopping death scene on the town's fireworks display. (Don't worry, that's not a spoiler; it's all over the film's trailer.) Horror fans should also give this a couple of bonus points for the world's first sack race gore scene. A lot of critics at the time attacked the film for the seeming inconsistency of a patriotic undead soldier lashing out at his fellow citizens, but after recent developments involving extremist domestic militias and trumped-up fringe political parties with a fondness for tea, that doesn't seem so unlikely anymore. Uncle Sam first appeared on home video courtesy of Elite Entertainment's non-anamorphic DVD, which looks pretty dire now but was passable at the time as it was prepared for a laserdisc. Lustig and Hayes provided a very entertaining commentary track loaded with anecdotes about the cast, crew, and story process, though Hayes seems nonplussed when Lustig points out the unexpected Lucio Fulci homage in the final scene (cribbed from City of the Living Dead). You also get to find out how and why William Smith reads a bizarre poem over the end credits. The film got a fresh transfer and additional extras when Lustig's Blue Underground brought it back to DVD in 2004 with a second commentary (featuring Lustig, Cohen, and producer George G. Braunstein, which focuses more on the pre-production and casting end of things while rephrasing and correcting a lot of info from the first, older track), a 9-minute "Fire Stunts" featurette with stunt coordinator Spiro Razatos (who talks over home video footage of the climactic showdown), a stills gallery, and the theatrical trailer. Six years later and just in time for July 4th, Uncle Sam finally goes hi-def with Blue Underground's Blu-Ray release. Yes, it's bizarre that this got to BD before Lustig's Maniac (or Maniac Cop for that matter), but such are the whims of the home video biz. Given the company's satisfying track record with the format so far, it's surprising how wildly inconsistent this one looks. Though a notch or two above their DVD (mainly because there's no NTSC red bleeding anymore), the film still looks soft and flat much of the time with some severe edge enhancement rearing its head during several outdoor daylight scenes (keep an eye out for those flagpoles). The opening Kuwait scene fares the worst and looks almost VHS-like in appearance, but on the other hand, the nocturnal final third of the film looks considerably more solid. The DTS and Dolby Digital-HD 7.1 mixes are mostly front and center for 90% of the running time, but when things go boom at the end, you'll definitely notice. All in all, if you don't have the DVD already, you might as well pick this up since it's a marginal upgrade and carries over all of the same extras (including the gallery, a rare occurrence for BU), but keep your expectations in check. On the other hand, if you're looking for a novel way to spice up your next 4th of July cookout and get the attention of your neighbors and friends, this should be just the ticket.